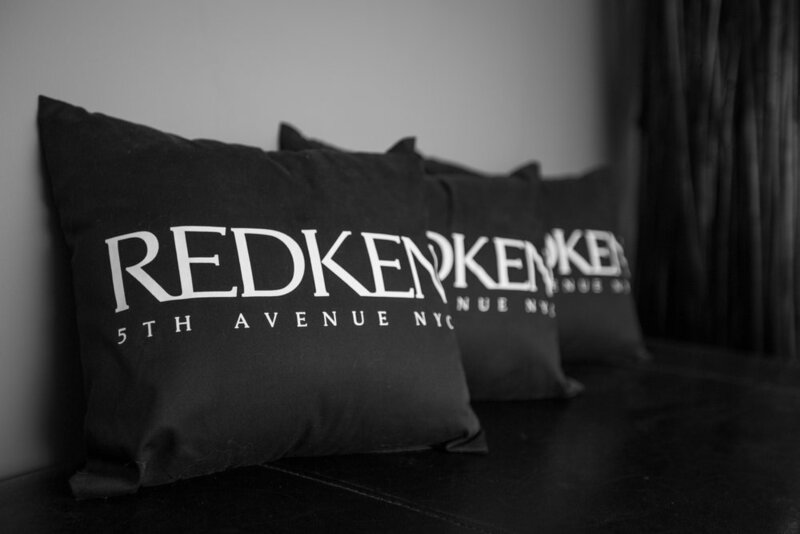 REDKEN platinum full service salon and spa located in Conception Bay South. We pride ourselves on providing a wide range of services from hair design and colour, to nail enhancements and spa services. Our team of dedicated professionals participates in training year-round to bring new products and cutting edge trends back to our clients. As a proud member of Green Circle Salons, we recycle and/or repurpose 85-95% of our salon waste, keeping both our clients and our planet beautiful. New clients are always welcome, so drop in for a visit any time. We’d love to offer you a complimentary consultation and show you around! With over 20 years styling and 14 years as a salon owner, Karen has been involved with multiple national and international training events and shows. She originally trained at College of the North Atlantic, but as a true believer in continued education, she went on to earn her Red Seal and volunteer her time for 5 years as a Skills Canada judge. By making The Hair Spa a REDKEN Platinum salon, Karen was able to encourage and equip her whole team with the latest trends and techniques, continuing to inspire others to never stop learning. After being in the industry for 3 years, Amber has developed a love for styling clients for special events. She graduated from Woodford's Training Centre and since then has taken in multiple REDKEN classes and events, including the Fusion hair show in Montreal. She's a curly girl herself, but has also received professional training and certification in curly hair. Beth has been behind the chair for over three years, taking every opportunity since to continue her education. She specializes in blondes and curly hair, but loves the precision cutting involved in bobs and pixie cuts. As a Technical Sales Educator with REDKEN, Beth uses her knowledge & skill to provide advice and support to fellow stylists around the province. Brandon is our Jack of all trades. He's a stylist and nail technician primarily, but also offers facial waxing, as well as ear and nose piercing. Since joining The Hair Spa in early 2016, he's travelled to Montreal with REDKEN Canada and has received various certifications, including one in men's barbering. Joining our team while still in school at Woodford's, Jenn has been part of The Hair Spa for over 6 years. She works most often as Karen's assistant, making sure her clients receive the best service possible. Taking care of things like inventory, reception on occassion, and whatever else needs to be done, she also ensures things run smoothly behind the scenes. Victoria graduated from Woodford Training Centre and has been with The Hair Spa since her On The Job placement in 2016. In her time here she's been given a taste of life in the industry, watching and learning from our senior staff, in between helping everyone out and gaining valuable experience of her own. She loves making people feel good about themselves and is excited to continue learning and building a clientele of her own. Since graduating from Woodford Training Centre in October of 2016 Brittany has become our full time receptionist, while still doing esthetics a couple days a week. She continues to take advantage of hands-on classes and product knowledge/know-how. Jennifer truly loves working one-on-one with people and making clients look and feel their best. While she does enjoy all aspects of esthetics, her personal favourite services to perform are pedicures, facials, and massages. As part of her training at Woodford's she received Dermalogica facial training, and since joining our team has received her chemical peel certification through Quannessence. Send us a message below, or reach us on Facebook, Instagram, by phone, or email! Posting a cute picture of your new look? Make sure to tag us! Not only do we love to see your selfies (& nailfies), but every tag, mention, or "check-in" on Instagram and/or Facebook enters you to win a $25 gift card or free product.